Ben 10 is going to rush levels with his courage and power. Help him to collect all green spheres and dodge troubles and obstacles ahead! 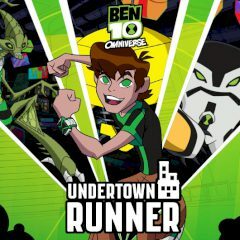 Ben 10 is going to run and complete some challenging tasks. Help him to collect all green spheres or at least the ones you can reach and increase the amount of your points. Is everything clear? Start the game and dodge all troubles and enemies you see in front!